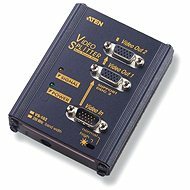 The switch is used to reproduce the video signal to VGA, XGA, SVGA, UXGA monitors. 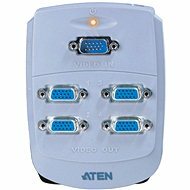 Provides native connection of up to 4 monitors, however it is possible to group up to 64 monitors in cascade connection. This switch can be used for both propagation and amplification up to 65m at the same time! D-SUB (VGA) M, D-SUB (VGA) F Done! 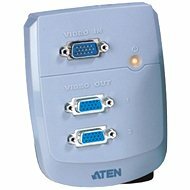 For shipping to other EU countries visit this page ATEN VS-94A. Für Versand nach Deutschland, besuchen Sie bitte ATEN VS-94A. Chcete doručit zboží do Česka? Prohlédněte si ATEN VS-94A. Chcete doručiť tovar na Slovensko? 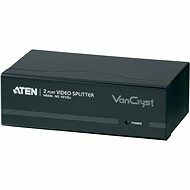 Prezrite si ATEN VS-94A. Für Versand nach Österreich, besuchen Sie bitte ATEN VS-94A. Magyarországra történő kiszállításért tekintse meg ezt a termékoldalt: ATEN VS-94A.